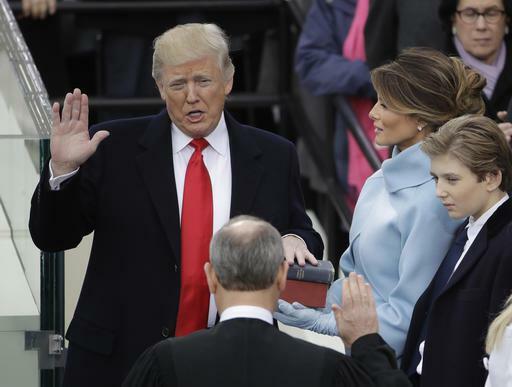 Americans from across the country gathered in Washington D.C. Friday, Jan. 20 to bear witness to history as Donald J. Trump was sworn in as the 45th President of the United States. All eyes were on the businessman as he travelled from the White House to the Capitol to put his hand on the Lincoln family Bible. Trump’s ceremony was immediately a controversy, with protests going on around the city, preceded by a massive, celebrity-packed protest at Trump Tower on Thursday Night in New York. Some protesters were seen breaking windows of businesses along the streets of D.C.
Another point of controversy for the inauguration was the crowd size. Pictures began floating on social media comparing Trump’s day to Obama’s in 2009, showing the stark difference between the two groups, Obama’s being significantly larger. Trump’s Press Secretary, Sean Spicer, denied these reports, saying in a heated statement from the White House Press Briefing Room that the media did not accurately report these numbers, which was proven to be a false claim. Trump starts off his term with the lowest approval rating of any incoming president, but has already made strides to complete promises he made on the campaign trail.